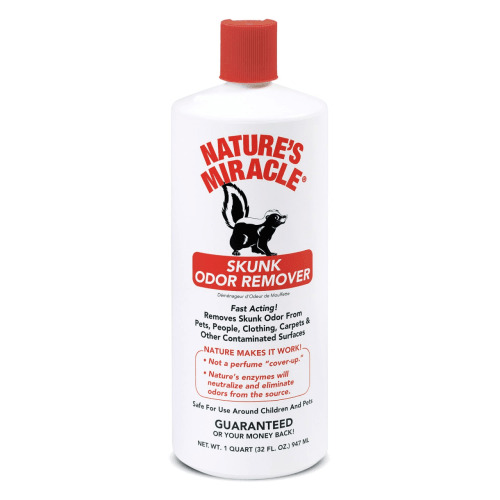 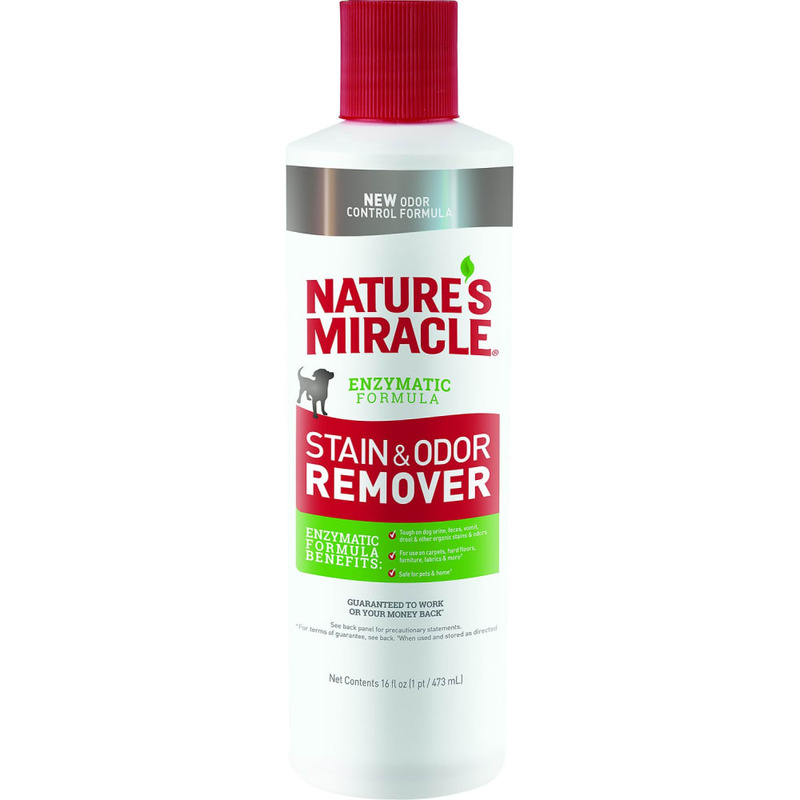 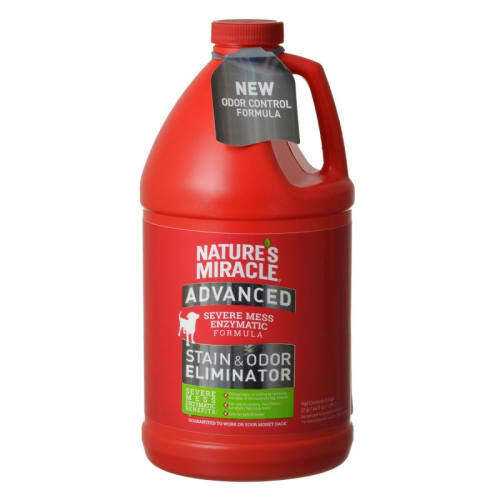 Nature's Miracle Stain and Odor Remover for dogs is tough on dog urine, feces, vomit, drool and other organic stains and odors. 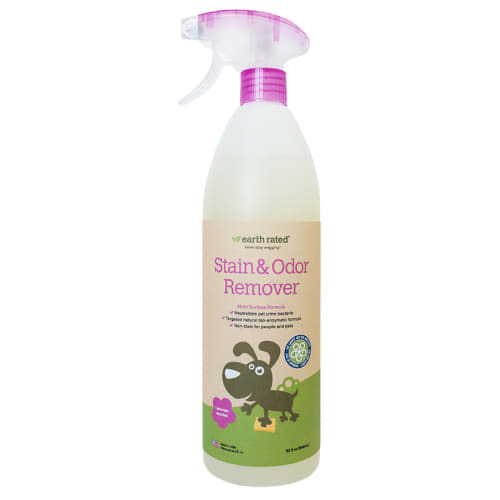 The bacteria-based formula produces enzymes when in contact with bio-based messes to target spot stains and odors while freshening with a light citrus scent. 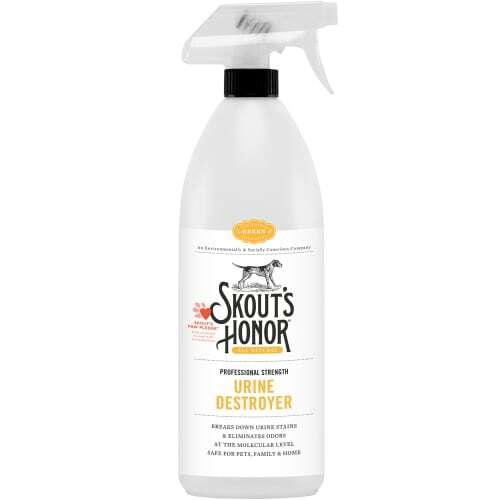 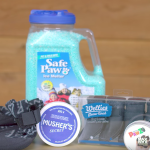 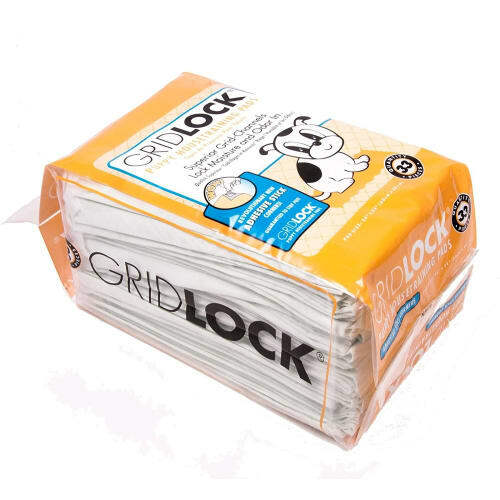 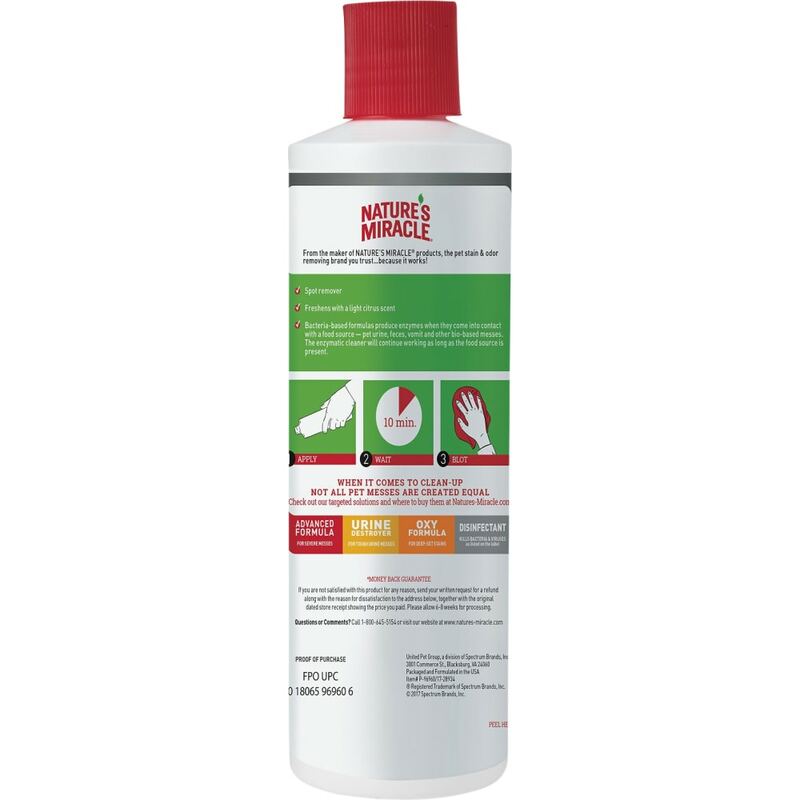 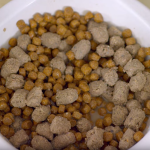 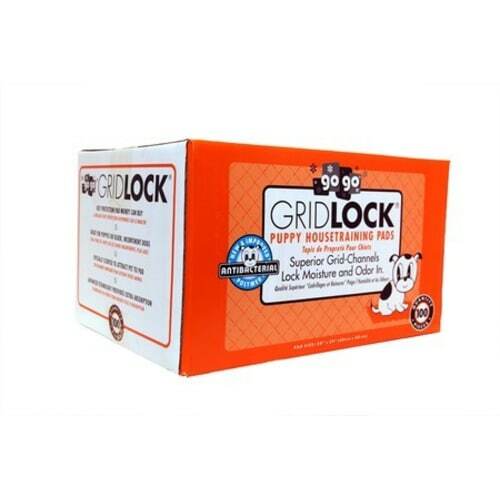 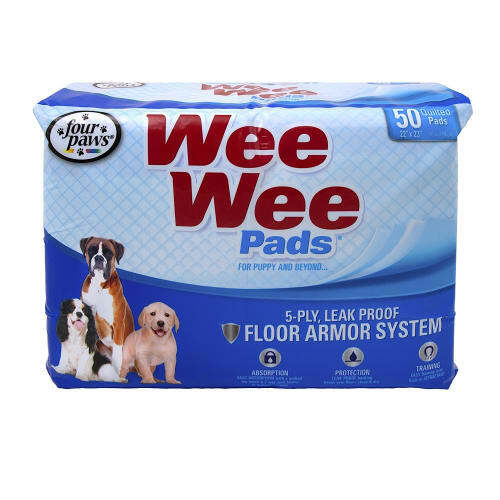 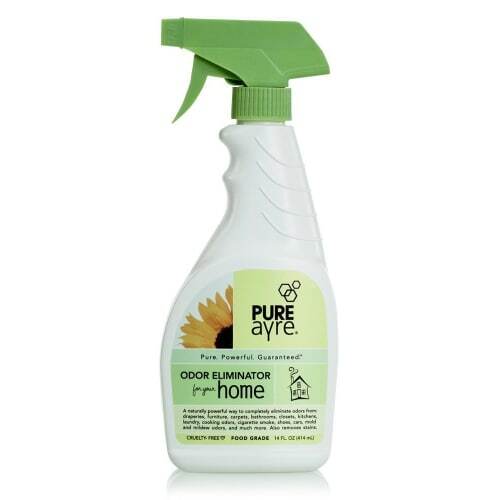 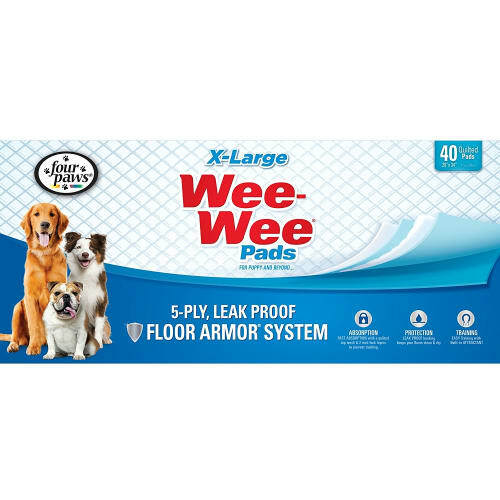 When used as directed, it's safe to use on carpets, hard floors, furniture, fabrics and more.Tough on dog urine, feces, vomit, drool & other organic stains & odors Freshens with a light citrus scentBacteria-based formulas produce enzymes when they come into contact with a food source — pet urine, feces, vomit and other bio-based messes. 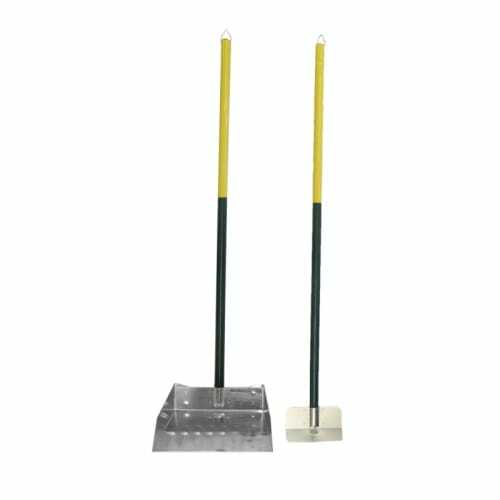 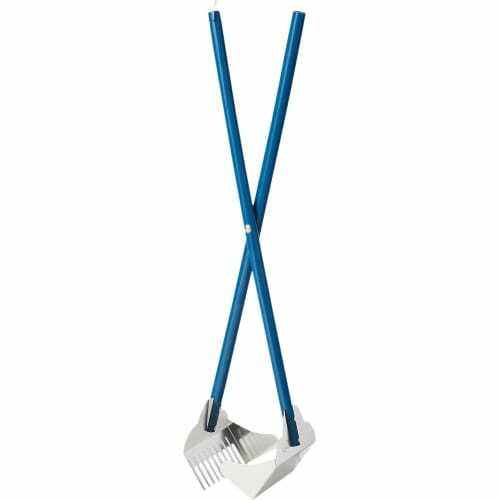 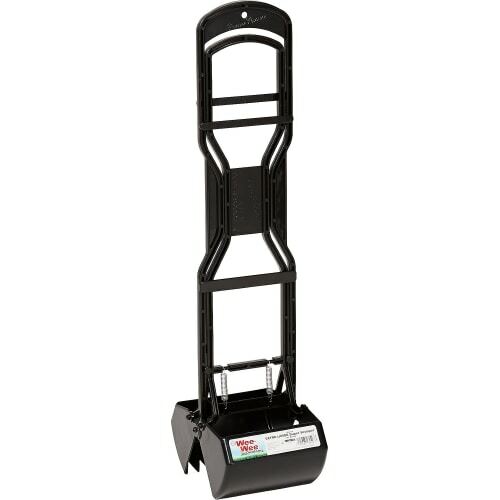 The enzymatic cleaner will continue working as long as the food source is present.